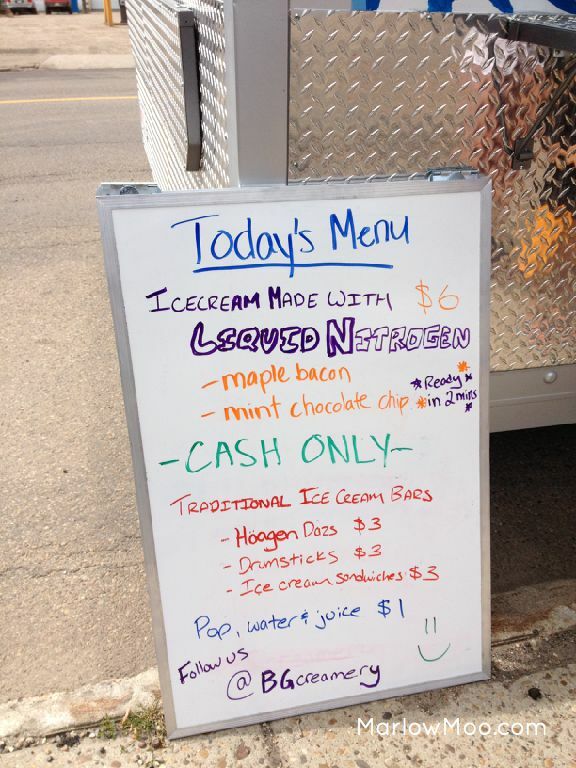 After doing some research, she wound up going all the way to Portland, Oregon to purchase an inexpensive food truck trailer from a family who specializes in building food trucks. 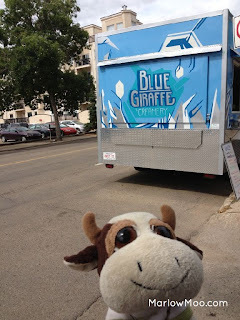 Although she wanted a food truck, the trailer option allowed her to avoid worrying about additional expenses and hassles associated with truck breakdowns and maintenance, and also allows her to have a smaller footprint at festivals by unhooking the trailer from the truck she uses to haul it around. 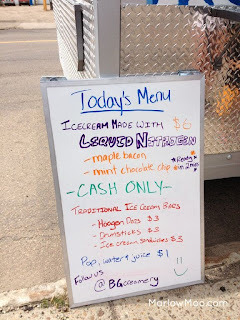 On that particular day, she had two liquid nitrogen ice cream flavours to choose from, mint chocolate chip and maple bacon, both for $6 a bowl. Although she had traditional ice cream treats available to purchase as well, the liquid nitrogen ice cream was well worth the price and is prepared before your eyes in just 2 minutes! 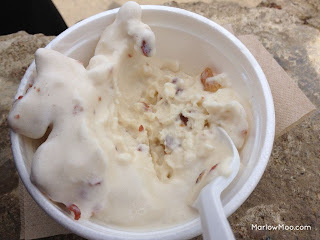 I opted for the maple bacon that day, and she started by putting the ice cream base she prepared earlier into a KitchenAid mixer, added a good amount of maple syrup, and a liberal spoonful of bacon that she had cooked before service. She then added the liquid nitrogen and turned the KitchenAid on, and 2 minutes later, I had an extremely generous portion of maple bacon ice cream! 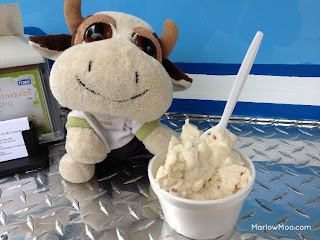 It was significantly larger than I expected, as I’d originally thought I could try both flavours, but what I was handed was a heaping bowlful of ice cream the size of my head! The ice cream itself was very creamy, with a distinctly maple flavour, sweet without being cloying, and finished with a slight saltiness from the large chunks of bacon. Least to say I was an immensely happy bovine as I devoured the entire bowl. 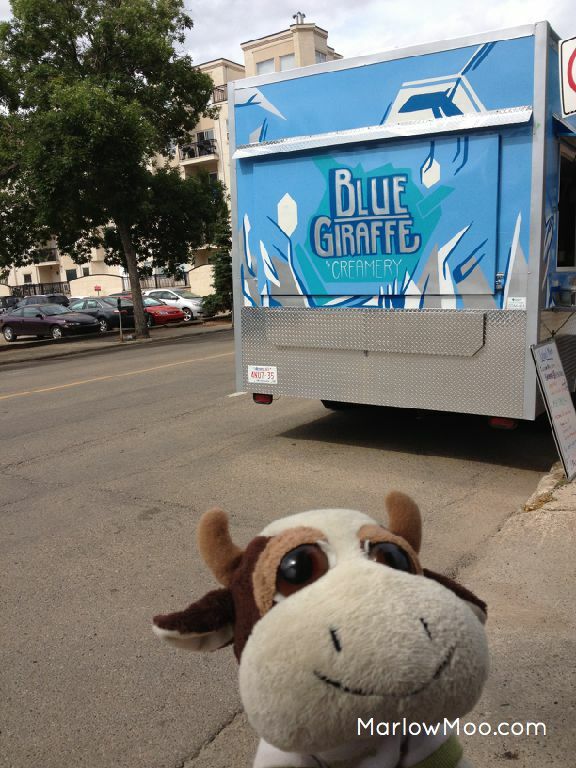 Although Blue Giraffe Creamery doesn’t currently have a permanent spot or schedule, they will be participating in 5 festivals in August. If you want to get your own bowl of maple bacon heaven, and what are sure to be other incredible flavours of liquid nitrogen ice cream, follow them on Twitter to find out when they’ll be out and where they’ll be, because they and their liquid nitrogen ice cream are well worth a visit (or 10). Location: Check Twitter for location, varies daily. Dates & Times: Check Twitter for opening and closing times, varies daily.